Enjoy Christian comedian Anita Renfroe’s latest hilarious DVD! Imagine this medical experiment: you take the funniest (and cleanest) parts of Jeff Foxworthy, Weird Al, Ellen DeGeneres, clone them into one funny woman (ok, so not Weird Al’s hair) and voila! you have what some have described as “this generation’s Erma Bombeck,” Anita Renfroe. 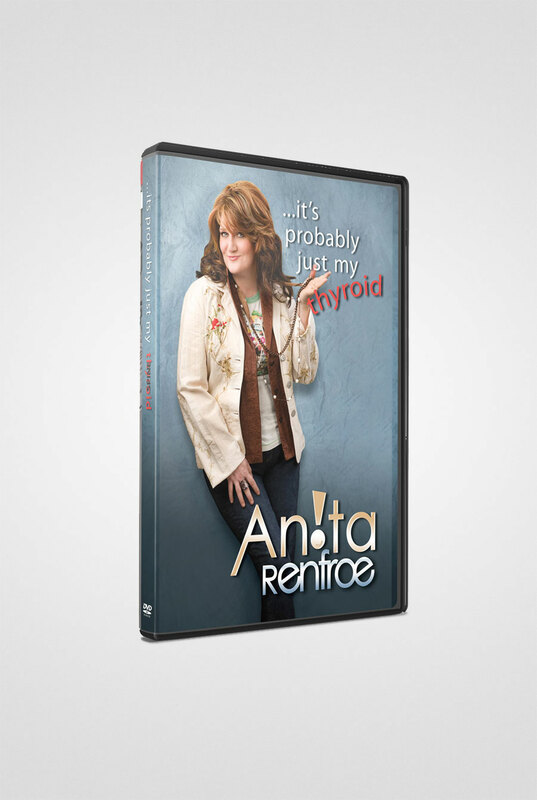 Open wide for a dose of estrogen flavored musical comedy—Anita Renfroe’s brand new DVD “It’s Probably Just My Thyroid” is chock full of laughs, off-the-wall insights and music (witness her hilarious parody of Carrie Underwood’s Before He Cheats called “Before I Eat”). Good for whatever ails ya!